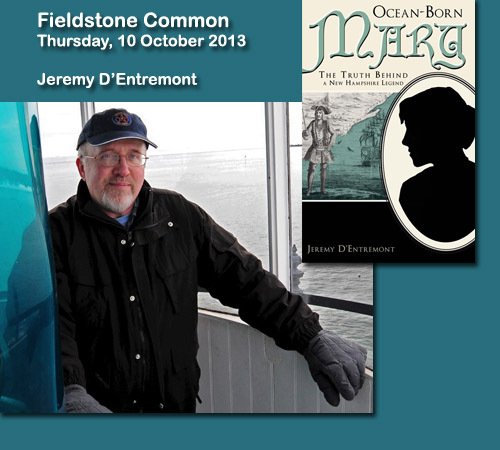 Jeremy D’Entremont visits Fieldstone Common this Thursday, 10 October 2013, to discuss his book Ocean-Born Mary: The Truth Behind a New Hampshire Legend. Have a question for the author, Jeremy D’Entremont? Leave a voice from the website and it will be played during the interview and answered by the author. Win a Copy of the Ocean-Born Mary! Want to win a copy of Ocean-Born Mary? Sign up for the Bonus List and you’ll automatically be in the running to win a copy! 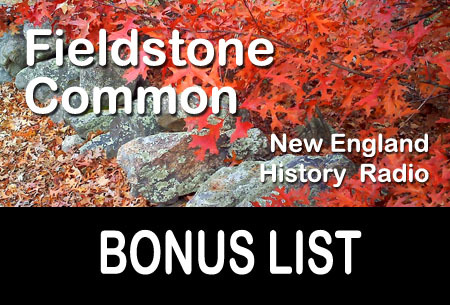 Find Fieldstone Common on iTunes! Enter your email address to subscribe to this blog and receive notifications of new posts by email. Please note that this is just for posts and it's not the same as the Bonus List.